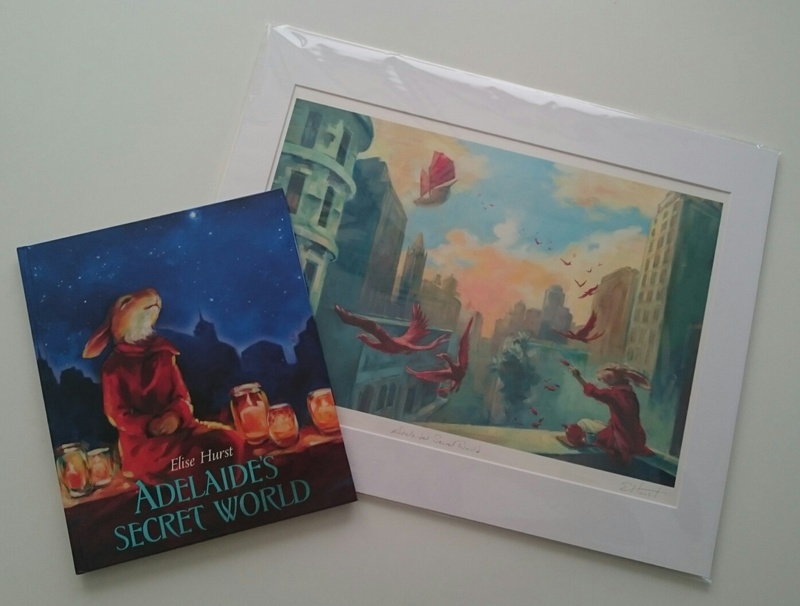 Elise Hurst has created a glorious world where Adelaide the rabbit lives, a mysterious city inhabited by a rich cast of animal characters and humans, while her enchanting and superbly illustrated story celebrates creativity and friendship. 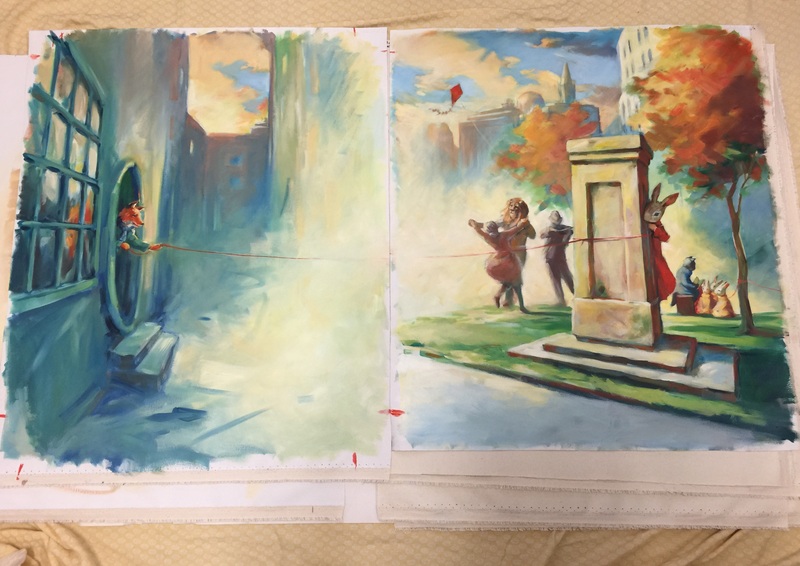 Ever wondered how such artwork arrives to us so we can turn it into a book? I created the whole book in big oil paintings to keep the work broad with big strokes and energetic shapes. Sometimes work that is too fussy and over-described can be alienating. I often find that messy edges and imperfection draw the reader in to fill in the gaps. And oils is a wonderful medium for mess! There are some moments of physical and emotional upheaval where sweeping brushstrokes whipping around were a perfect metaphor for Adelaide’s inner state. Other pages needed a more gentle approach with faded, muted colours that remind me of old travel posters from the 1920s. Particularly an early happy page where I use warm sepia colours as in an old photo, or another page where she works in her home cocooned with warm light. These are safe places for her and are a narrative balance to the turmoil of other sections of the story. 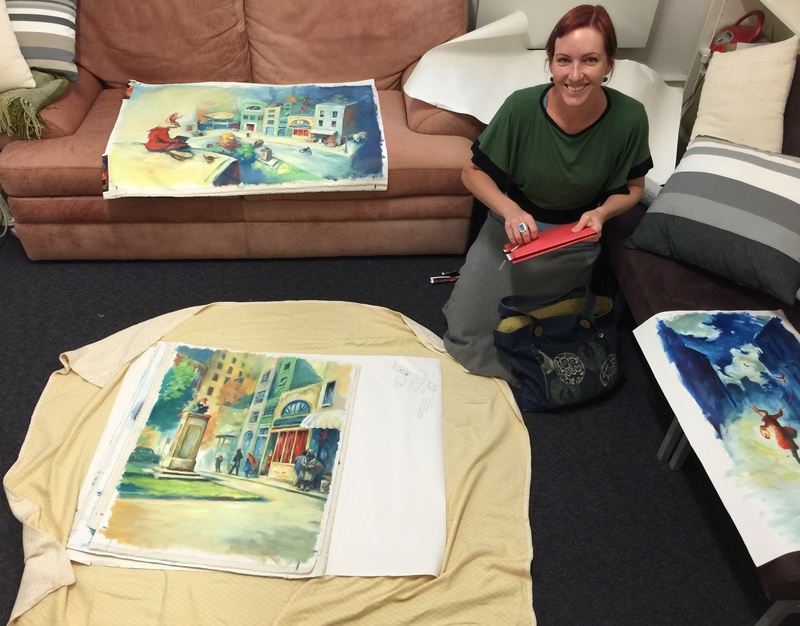 Learn more about Elise’s work on her website, follow her on Facebook for more behind-the-scenes insights and read this interview to learn how she got into art. If you’re in Melbourne in the next couple of weeks, you can see Elise’s glorious artwork in person at No Vacancy Gallery, otherwise be transported into Adelaide’s Secret World through this gorgeous book. On Thursday 12 November, the exhibition opens with an evening launch, while on Saturday 14 November there is a family fun day to launch the book and the exhibition. 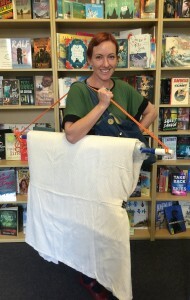 On Friday 20 The Little Bookroom hosts Elise for a morning reading. Becoming lost in a picture book and wanting to turn back to the first page again is a very special experience. This is such a book. It doesn’t matter that Adelaide is a rabbit or that the object of her heart’s desire is a fox, because their story is universal. We all search for a kindred spirit in our lives. This is a story about yearning, courage and being open to special opportunities. The exquisite illustrations are moody, evocative and beautifully rendered. 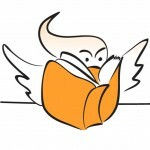 This is highly recommended for readers aged eight and over. Adelaide’s Secret World was a fairly gorgeous read. A world where creatures and humans are the same size and live together, where imagination is yearned to be shared and for the creative, quiet dreamers to come together and make something huge from the world. Also, there are flying ships. I want this in novel form, please thank you and hurry. Visually it was a feast. Gorgeous and utterly akin to something in a far off dream.